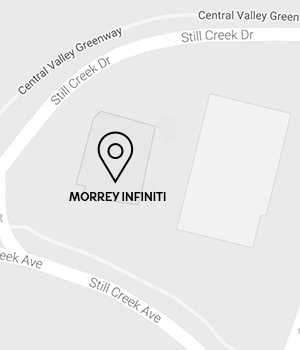 My wife and I test drove various SUVs at different dealerships before approaching Morrey Infiniti. We bugged Andrew with different questions on five separate occasions before we finally decided to purchase a new SUV from this dealership. Andrew was very patient with us, and he was knowledgeable and upfront. He explained to us the pros and cons of the vehicle, compared to Infiniti's competitors. He also helped us through the various stages of purchasing, from selecting the right package for our budget and needs, negotiating the best deal for us, and providing post-purchasing services for the extra piece of mind. He is by far the best sales representative that we have dealt with. 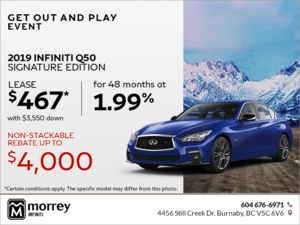 A big thanks to Andrew Mah at Morrey Infiniti! I would definitely recommend him to anyone who wants to purchase an Infiniti.